Thank you for visiting our Modular Homes from Pleasant Valley Homes, one of the finest modular manufactures in the industry. Please browse through the Home Options below to see our models and a variety of floor plans we offer. 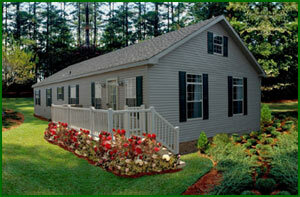 Pleasant Lake Estates offers a full line of high-quality, innovative modular homes from Pleasant Valley Modular Homes. The modular homes are constructed in a climate controlled 140,000 square ft. state-of-the-art manufacturing center. 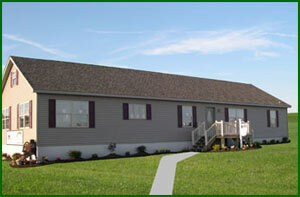 Every modular home features the superior construction of “strength – far beyond the standard”. Our modular homes have the finest collections of designer kitchens and baths, including the incredible award winning “Hearth Wall” Kitchen. All of our homes come with standard options or you can choose to upgrade from several of our deluxe packages. Pleasant Valley Homes offers a 10-Year New Home Warranty featured in every new Pleasant Valley modular home. The warranty includes 10-year coverage on major structural defects. It is automatically transferable upon resale. An effective complaint handling procedure is built into the program. The warranty has an A.M. Best Rating of "A-". The Inspiration Series of ranch homes features very functional floor plans of a size of 48 feet long or less. These homes offer the fine quality, distinctive appearance, and abundance of standard features that is expected in any Pleasant Valley. This series is ideal for those looking for a smaller home. The Elmington Series of ranch homes features a huge collection of some of the most unique and appealing ranch floor plans in the modular industry. In addition to our offerings, some customization is available both to existing layouts as well as overall custom designs. Many of the floor plans feature Pleasant Valley's exclusive designs such as the Hearth Wall Kitchen, the Stone Chimney Kitchen, the Cafe Italiano Style Brick Oven Kitchen, the Napoli Fireside Hearth Kitchen, and the Venetian Spa Master Bath. These homes are designed in such a way that several options are easily added on, both on the interior and exterior. The rendering above shows an open dormer, which can be applied to any home. The Abbington Series of gable entry ranch homes is ideal for narrow land sites and provides the availability of unique exterior designs. Several sizes are shown, ranging from 44-68 feet. Some home plans do not have standard stairwell locations, though it can usually be implemented. Customization is available on a wide but not unlimited basis. Pleasant Valley's Hopemont Series of raised ranch homes brings a unique touch to the market. All homes in the series feature our extensive list of standard features built around unique designs. Pleasant Valley's Seabrook Series of Cape Cod homes showcase seven terrific floor plans. The homes feature innovative exterior designs coupled with Pleasant Valley's incomparable interior appointments. Pleasant Valley's Plantation Series of two-story homes is a fine collection of designs ranging from small to large and everything in between. Elaborate innovations such as the "Venetian Spa" Master Bath, "Hearth Wall" Kitchen, and more are available in select floor plans. Pleasant Valley's Bennington Series features several unique and beautiful split-level, T-ranch, and L-ranch models with some of our best design features available. Any split-level home can also be built as a T-ranch style home. Pleasant Valley's Lakebreeze Series of leisure homes offers designs both as a Ranch and as a Cape Chalet with cathedral ceilings in the ranch models. Another huge hit fromPleasant Valley... the exclusive Bear Creek Mountain Series of log-sided homes. Enjoy all the unique features of a rustic log home within the luxury living present in every Pleasant Valley home. Three floor plans are available, as shown below. The striking exterior has a standard 8/12 roof pitch and authentic cedar log siding accented by Chateau Green roof shingles. Window trim, fascia, and porch railing are all crafted from cedar wood, as well.  All windows are standard beige color, as is the soffit. The front door and exterior lighting is coordinated to the lodge appearance. Pleasant Valley builds several different models for the multi-family market. Available designs include ranch duplex models and two-story duplex models. Custom floor plans for the multi-family market are possible in some instances. More floor plans will be added to this page soon. 100-Pound Ground Snow Load Roof Trusses -- 16” O.C.